Apartments often go through tenants at a frequent rate. After a tenant leaves and a new one comes in, the apartment is typically cleaned. One of the most frequently replaced features inside an apartment is the carpets. Carpets are also most often changed out after a tenant leaves due to the lack of upkeep and maintenance. The carpets are often dirty and stained, thereby requiring replacement … or do they? When carpets are still in good condition but appear faded or stained, it is a waste of perfectly good carpet and money to replace it. Carpet Dye-Tech will share how you can renew the carpets without the need to replace them and help save you money. Replace or Redye Apartment Carpet? Apartments often make use of carpets and due to the high rate of tenants that come and go, often the apartment property management will look for ways to help maintain the buildings. Often, if the carpet looks fairly decent and are in good condition, the carpets will be cleaned and new tenants can move in. On the other hand, stains or discolored carpet often require the need for the carpet to be replaced. This may seem like a waste if the carpet and the padding is still in good condition and not very old. When the carpet appearance needs a little help, the carpet can be restored with carpet dyeing. 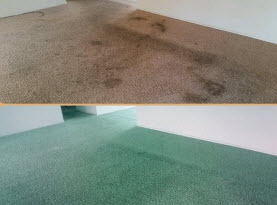 Carpet dyeing services can help recover carpet in a few different ways. Carpets are always deep cleaned before carpets are dyed. Essentially the carpets are cleaned and disinfected. Carpets that are faded can then be dyed and any bleach spots for example, can be dyed and blended in with the rest of the carpet. When an apartment complex wishes to change the color of their building’s carpets, the carpet can be dyed a completely new color at a fraction of the cost of replacement! Carpet can become faded due to over cleaning or improper cleaning. Complete carpet discoloration can occur due to the material used to manufacturer carpets and carpet padding. When carpets fade or becomes discolored the carpet can be recovered. 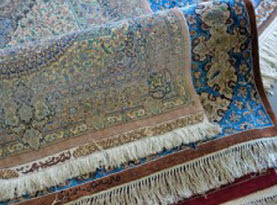 A carpet dye specialist can create a dye mixture and dye the entire carpet, thus reviving the carpet’s original color. When the building owner wishes to change the original color of the carpet, carpet can be dyed another color. However, in changing the carpet’s color, one can only go darker and never a lighter color. Dyeing carpet a darker color is actually quite popular because it helps minimize future stains and maintain the carpet’s appearance longer. Since carpets are prone to staining it is common to need carpet cleaning and stains removed. However, some stains cannot be removed and then the carpet needs to be replaced. Before replacing the carpet due to a stain, keep in mind that a carpet dyeing service can use superior methods to get stubborn stains out. 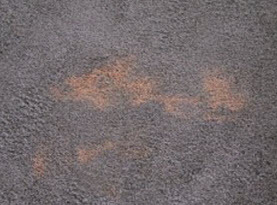 While bleach spots are not stains as they strip the carpet color from the fibers, they can easily be dyed. Stains can be obliterated completely and carpet in otherwise good condition is restored to look like new. Carpet dyeing can help recover carpet and extend the carpet’s life. 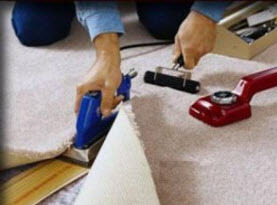 By restoring the carpet it prevents the need to replace carpets and helps save money. If a single apartment or the entire apartment complex requires carpet dyeing services, contact Carpet Dye-Tech today.